Please go to this website and read what is being done for this great cause! My friend, Heather Ales has gone above and beyond to make this auction happen! Thank You Heather from the people of Oklahoma, your the best! Thank You to all who will be bidding on some of the most wonderful art pieces and for the support you have given to these families who have lost everything! 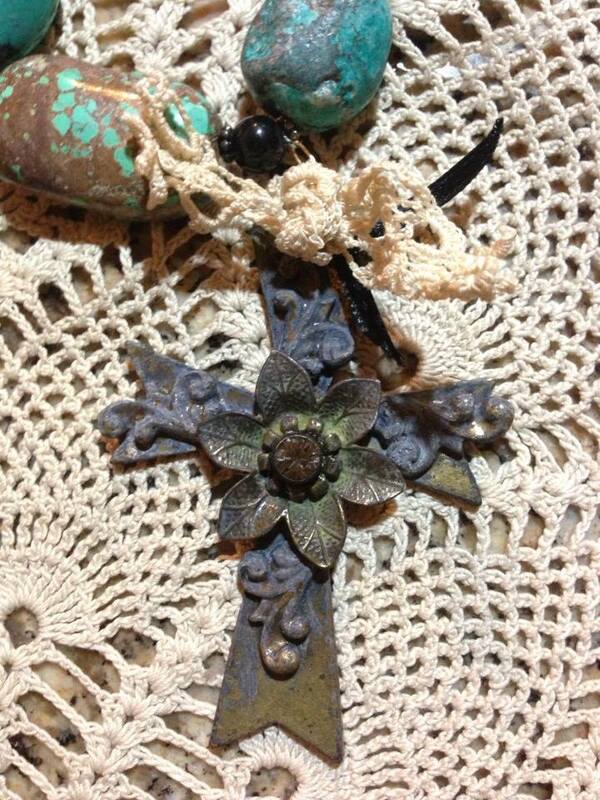 Here is as pic of the Cross on a turquoise beaded necklace that I am donating to the auction.